“The Capitol Corridor is such a huge benefit to the region, reducing congestion on the roads and carbon emissions, and just making life easier for so many of our residents,” PCTPA Chair and CCJPA Boardmember Jim Holmes said. 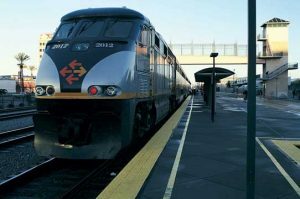 Expanding Capitol Corridor rail service in Placer County will help reduce the amount of time you spend in traffic on I-80 and SR 65 as it becomes easier for commuters take the train instead of their cars to work in Sacramento. Air quality will also improve with fewer cars on the road. If you want to take the train from Placer County to Sacramento or the Bay Area, the Third Track Project will raise the number of rail round trips per day from Roseville from 1 to 3. Funding this project has been a longstanding challenge, but it is finally moving forward. 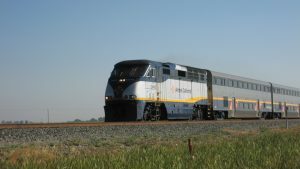 In late summer last year, the State awarded the Capitol Corridor Joint Powers Authority (CCJPA) approximately $8.4 million in Cap-and-Trade funds to go toward the Third Track Project. The CCJPA Board voted to shift the entire $51.97 million they had left of Prop 1A funds from other priorities to the Third Track Project, and persuade Caltrans to release $18.35 million of Prop 1B rail money to fully fund Third Track’s phase one. Now that they are able to steam ahead with final design & construction, Placer residents will be able to enjoy the benefits of the completed project by 2020. Construction will begin after final design and will include increasing the number of trains that can safely travel on the tracks and improving the Roseville Union Pacific Railroad Yard and Station Area. “With plans for expanded service steadily moving forward, the future [of Placer County] looks even brighter,” said Holmes. While phase one of the Third Track rail service expansion is moving forward with full funding, the other phase still remains in limbo. Finding the necessary revenue to complete the Third Track project will pose a challenge, yet at PCTPA we continue to find ways to make road, transit, -and yes –rail projects a reality for the Placer community.